Economic crimes can carry steep penalties, especially those associated with money laundering. Money laundering is a felony that is heavily prosecuted on the state and federal levels. Under Texas law, money laundering involves the concealing of funds that were a result of criminal activity. Any involvement with the money could result in serious charges. The attorney general, if requested to do so by a prosecuting attorney, may even assist in the prosecution of this offense. If you are under investigation for any type of money laundering offense, the government will likely employ sophisticated systems to obtain evidence against you. It is important you have skilled and experienced representation on your side. 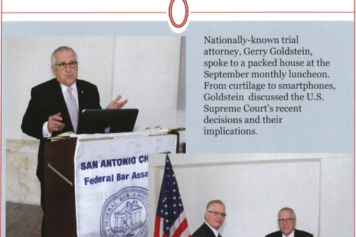 Contact a San Antonio money laundering defense attorney at Goldstein, Goldstein, Hilley & Orr. At Goldstein, Goldstein, Hilley & Orr, we represent clients charged with money laundering in state and federal court. In recent years, government surveillance and prosecution of alleged money laundering has increased dramatically. For your rights to be fully protected, your attorneys need to approach your case with the same level of sophistication. Contact us to speak to a knowledgeable criminal defense lawyer about accusations against or investigations targeting you. We do not charge you a fee to simply discuss your concerns with us. Call (210) 226-1463 for a consultation. Money laundering is a serious economic crime in Texas. This offense involves knowingly having an interest in, concealing, transferring, transporting or facilitating in any way a transaction involving the proceeds of a criminal activity. The offense also could involve investing proceeds, receiving them, spending them or financing them. In these cases, criminal activity can include any offense classified as a felony. For instance, if a person generates money from distributing or selling drugs and his or her spouse spends or invests the illegal money, it could be considered money laundering. Texas law does not require the defendant knows about the criminal activity that gave rise to the proceeds in order to be convicted. It only requires that he or she know the money was obtained through illegal means. Many of the corporate structures that are commonly interpreted by the government as signs of money laundering have perfectly legitimate purposes. Our attorneys are skilled at explaining how certain corporate structures serve asset protection, tax planning and other purposes that are completely legal. We recently represented a client who won a case before the U.S. Supreme Court on these issues. An accusation of money laundering means the government believes you have designed certain financial transactions for purposes of tax evasion, securities fraud or concealment of illegal or illegitimate business activities such as extortion or embezzlement schemes. With the passage of the USA Patriot Act in 2002, the powers of the federal Financial Crimes Enforcement Network (FinCEN) to investigate financial transactions for signs of money laundering were vastly increased. Information about your financial transactions may be circulating via Suspicious Activity Reports (SARs), Currency Transaction Reports (CTRs) and other surveillance methods. The Bank Secrecy Act (BSA) authorizes the government to examine your bulk cash transactions in order to detect structuring activity and the use of businesses and individuals. If proceeds of criminal activity are related to one scheme or continuing course of conduct, whether from the same or several sources, the conduct may be considered as one offense and the value of the proceeds aggregated in determining the classification of the offense. When you face criminal charges, you may feel like there is no way out. Although white collar crimes can be complex, there are possible defenses under Texas Penal Code Sec. 34.01 to help you combat the charges. If you have been targeted by a money laundering investigation, you need attorneys who are experienced dealing with the complex interplay of statutes, regulations, and practices involved in these cases. 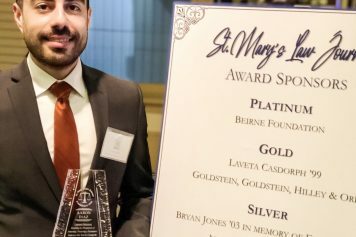 The attorneys at Goldstein, Goldstein, Hilley & Orr represent clients throughout San Antonio and Texas for investigations by both state and federal law enforcement agencies.